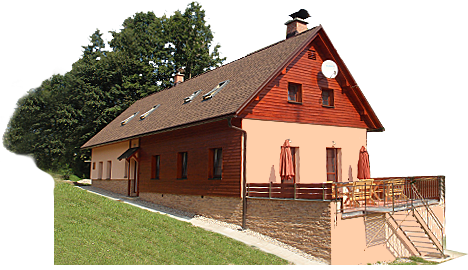 ski lodge can be found in Roztoky u Semil in Giant Mountains, Jizera Mountains. We offer you ski lodge accommodation for 12 people. The accommodation includes free parking,use of a bicycle and ski storage are also available. The lodge is heated with a heat pump, free WiFi, satellite TV, sauna and barbecue. Diving school Jesenný – for children and adults – lime stone quarry which is in the shape of a heart – suitable for swimming. Also in this area is a Yak breeding farm – the only one of it´s kind in the Czech Republic (Mr. Grus + 420 777 090 720), hydroelectic power station, glass factory. Golf Club Semily – golf course in Semily was founded in 1970 near Jizera river. It is a beautiful, natural and quite short course. Tennis court – Tenis club Semily – you can find there clay courts, 1 night court, ball and tennis racket rental, tennis schools for children, instructors. Phone +420 603 253 683, tenisovy.klub.semily@seznam.cz , open from april to october, 8.00 – 21.00 hr. Streetkart – Kart sales and rentals. These karts can be used on public roads.. Marek Zagoňski – Streetkart, Semily, phone +420 775 600 700, +420 481 621 680. 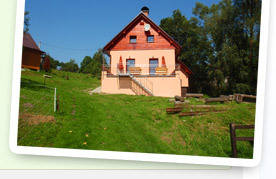 Horse riding – Mírová pod Kozákovem – Hrachovice, phone +420 774 890 970. Open all year-long from 10.00 – 17.00 hours. Sale, rental and bike service – BC Sport Semily – sale of bicycles, spare parts and accessories. Nádražní 351, +420 481 625 228.
phone +420 481 629 254 – fishing license required..
Vysoké nad Jizerou – Šachty – offers 4 km of downhill courses and 35 km of courses for cross – country skiing. Here you have at your disposal 3 modern ski lifts, 2 child ski lifts, ski rental and service, skiing school, snowtubing, child scooters, night skiing. Purchases of season tickets can offer you skiing in other skiing areas - Kamenec - Jablonec nad Jizerou (10km), Kašperské hory a Kozinec(18km). 6 minutes drive. Paseky nad Jizerou – this center can offer you 4 red ski courses, 6 blue ski courses, cross – country skiing, night skiing, snow park, ski school, ski services, ski equipment rental, refreshment. 15 minutes drive. Horni Domky, Studenov, Parez, Udatný, Modrá Hvezda.Total lenght of ski courses 14,4 km and total lenght of cross country skiing courses 57 km.Ski areas can offer children parks, snow parks, ski schools, rentals, ski services. 20 minutes drive. Ski area Herlíkovice, Vrchlabí – Ski area offers 2 four seated ski lifts, 7 lifts, 12.4 km long ski courses and measured slalom course. 30 minutes drive. Smržovka - ski lift Filip – 2 ski lifts a lenght of uphill is 500 m, ski school, ski board service, snow park, ski rental. 30 minutes drive. Tanvaldský Špičák – the biggest ski center of Jizera Mountains. Youcanfind7 lifts, 4 seated ski lift, U ramp for snowboarders, 90 km of cross country skiing, night skiing, ski rental, service there. 30 minutes drive. Harrachov – 3 different ski areas -Zákouti, Čertova hora, Amálka. In those areas you can find 2 four seated ski lifts, ski schools, ski rental, night skiing. 30 minutes drive. Mill in Roztoky – old mill from 1625 – water mill with it´s 300 years of history. Children can meet fairy tales creatures and play with puppets. Adults can join a museum exposition of mill equipment. 10 minutes walk. Hruboskalsko - this region is divided into 3 main areas – Dračí rocks and Zámecká ravine, Kapelník, Maják and Údolíčka. There are loads of sight seeing around this place. 34 km – direction Železný Brod, Turnov.